1. 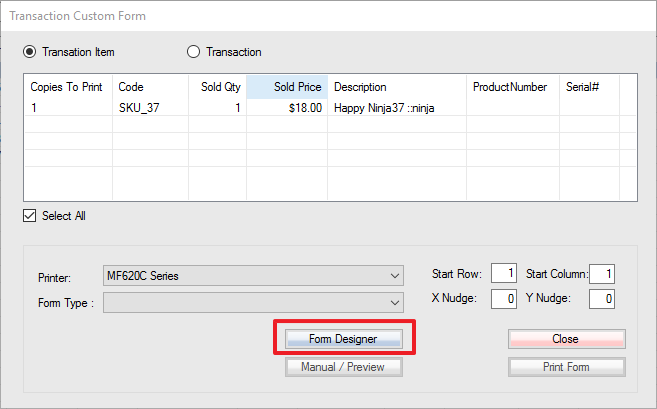 To get started on creating or modifying your custom form/label/tag, first create transaction attributes. 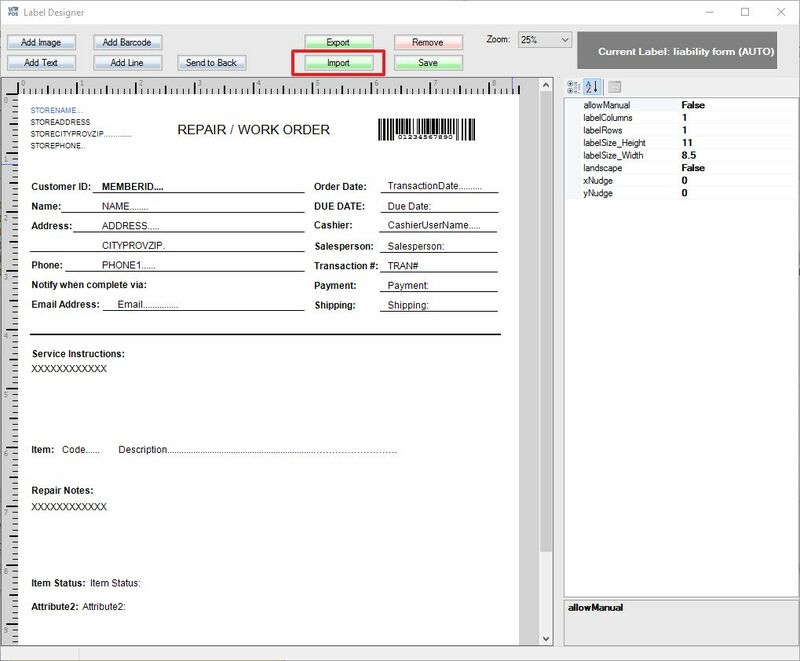 From recall transaction screen, select Print Custom Form. 2. The Transaction Custom Form screen will then appear next. From this screen simply click on Form Designer to open the Label Designer. 3. Once the Label Designer is open you can choose to modify an existing label or create a new label. 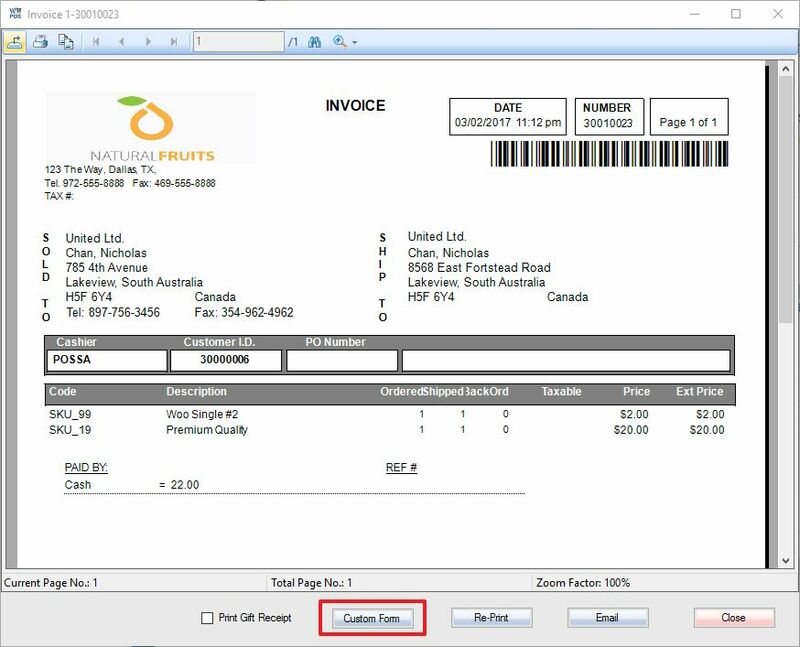 If the label name contains word AUTO, the form will be automatically printed after the transaction posted. 4. When open the Label Designer you will either see an existing label or a new blank label depending on what you chose from the Label Designer. If you don’t want to create your custom form from scratch, then you can use the template HERE. The template will appear with some basic information, though the majority of the form will allow you to specify fields as needed for your business. Replace ########## with the name of the transaction item attribute so that it will be linked properly to pull that information for the SKU. This guide uses “Repair Notes” as the example attribute filled in. 6. When you are finished modifying the fields needed to display for your custom form, be sure to click on Save button before closing the form designer. 7. 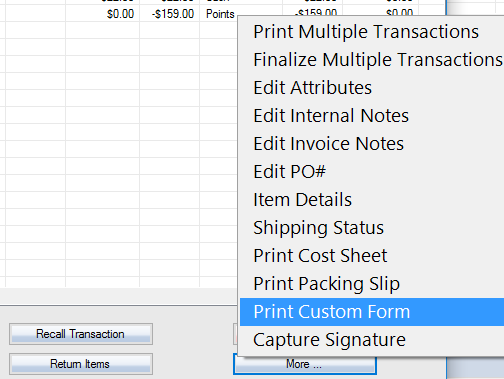 Now when you sell a SKU with For Transaction Item Option checked on, it will automatically print a custom form. You can recall the transaction, and reprint the custom form.